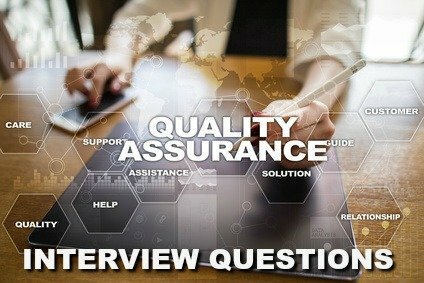 QA interview questions that focus on the candidate's quality assurance tools, knowledge and competencies. QA skills are transferable from one company to another and quality assurance professionals should be able to move from one industry to another and remain productive. These questions explore the transferable competencies and abilities needed in the quality assurance role. What experience do you have in developing the quality assurance manual? Quality assurance professionals are expected to create and implement formal written documentation. What role have you played in planning and developing a QA manual? Take the interviewer through the steps you took to review and assess existing procedures, identify modifications or updates required, formalize the procedures and gain approval for the manual. What is the role of formal documentation in quality assurance? Your answer should highlight the importance of documentation in a complete quality process. Focus on the benefits afforded by documentation such as accountability, the completeness of a process, consistency, deadline compliance, improved communication and availability of records. How have you used data to improve process and products? Show how you have used data analysis to make sound decisions for process improvements. What statistical knowledge do you have and how have you applied appropriate statistics to pinpoint problems and make business decisions? Use a specific example to support your answer to QA interview questions around data analysis tools, techniques and applications. What customer interface have you had in dealing with quality issues? QA interview questions like this are exploring your direct experience with customers. The organization's main focus must be to satisfy their customers. Focus on how you managed the customer's concerns and how you dealt professionally and promptly with the quality problem. Discuss your corrective action plan. Describe your experience with quality audits. What audits have you conducted? What were the goals of the audit? How did you prepare for it? The planning and preparation for a quality audit is key to ensuring the effectiveness of that audit. How did you monitor the audit findings? How did you control the corrective actions? What is the most critical defect you found in a recent project? Focus on how you defined the problem, the tools and resources you used to analyze the problem and the solutions you were able to generate. How will you begin to improve the QA process in this company? Take the interviewer through the steps you took in your last quality assurance job to improve QA process. Focus on your evaluation of current practices, how did you decide which practices to retain and which to modify? Consider time budget and resources available in the company. What quality management tools and principles did you use to address system deficiencies, enhance strengths and improve processes? Use the four step approach, identify, analyze, develop, test and implement to structure your answer. How do you see the role of the quality professional in an organization? Quality professionals can be regarded as catalysts for organizational change, they are key to understanding how the processes of the organization are related and the connection between planning and profit. Back up your answers to QA interview questions with a recent work example. Common competency-based or behavioral quality assurance interview questions. 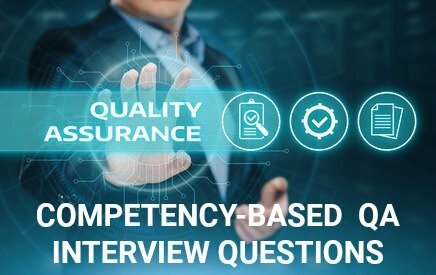 These QA interview questions explore the key competencies required in a quality assurance job. The quality assurance job description provides a practical explanation of the quality assurance role in an organization. Candidates are often asked to describe their strengths and weaknesses as a quality assurance professional. Be ready with a confident answer. These project manager interview questions and answers will help you answer interview questions about quality assurance in a project management setting. Be prepared for common job interview questions that crop up in every job interview.